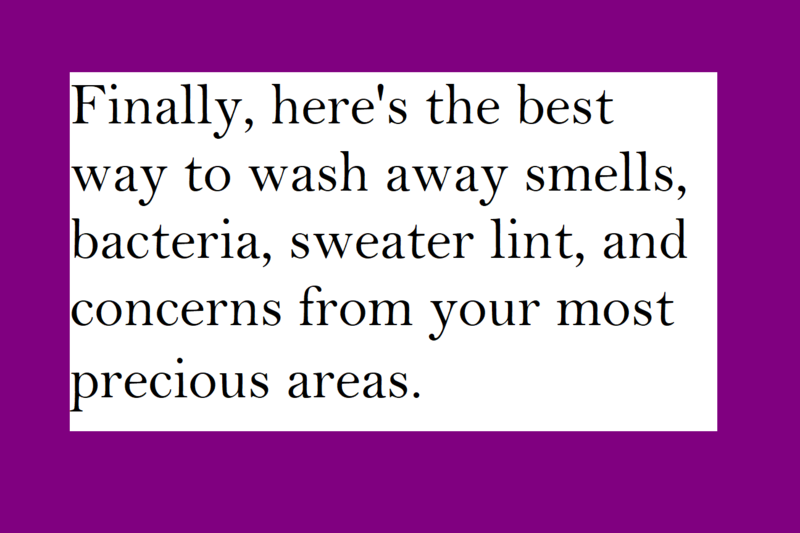 Get rid o' that stank. There are lymph nodes and lots of heavy pores made to emit your special smell in these areas. It's no wonder people have been jumping on the "Armpit Detox" bandwagon- it actually works. We've been washing our pits and bits with clay blends for years and never thought other people would enjoy it as much. What you'll find after a couple of days of using only clay in these areas is a smell-less life for several hours to all day for some people. What this wash does is *assist* the body in letting go of trapped junk. Clay is anti-bacterial, but it also pulls at oils, debris, and water under the skin to create an OUTFLOW of stuff that's been stuck in your pits and bits for who-knows-how-long. You'll need a very small amount of Pits N Bits to wash your areas. We recommend applying it first thing in the shower and let it sit to work it's magic until the end of your shower. Shake some of the magic powder into your hand, add a few drops of water to make a clay paste, apply to armpits and bits, let it sit, rinse.... take note of how your smell changes over the next few days. Sometimes you will smell *more* on the very first day because you've opened up those pathways, but I promise it will pass soon and you'll be forgetting to put on deodorant. Ever shaved with Clay?? This is also a favorite way to go around here. Just clay and a razor. It feels amazing, has very low propensity for making rashes, and doesn't disturb our soap-less lifestyle. It will dull your razor a little faster, but to shave with no skin irritation is worth it. You can grab a jar of pure clay here. Notice that I've also added Meadowsweet and Gentian Root to this. These two herbs are both astringent AND are shown to kill cancer cells on contact in scientific studies. I do a lot of secret work to at least try to include some kind of preventatives in most of my formulas. This is NOT to say that your Pits N Bits is going to prevent you from getting cancer or heal cancer, rather, let's all just do the little things we can to stay as healthy as possible. Just another product we can’t live without here!!! Bought some alongside Brain Wash and Diamond Dust and now I just want to chat with Courtney to get custom stuff for my partner and I. I absolutely love this product and all of the products I’ve tried here!! I love this stuff! Honestly, I was not expecting to like this as much as I do. I feel cleaner and I feel like I smell better. I use this every other day, and sometimes in the middle of the day if I need to freshen up really quick. This is just one more thing from Brazen Bee that I cant be without. This product is fantastic. I exercise at a high intensity and was really skeptical about this working well enough but I can attest that it really works. I think I smell better now with this & being soap free than I used to with soap + deodorant! I love the clarity scent too. I wash with this morning and night and follow with Anno Domini deodorant/moisturizer. Not only do I smell fresh and clean throughout the day, but my skin feels healthier and actually cleaner. I tried using a “natural” deodorant and soap again after the first week of Pits N Bits and the skin on my armpits started peeling. If I am doing a lot of cleaning at work or it’s very warm out, it’s super easy to do a quick wash in the sink with a washcloth and freshen up. Love it!